• Cavity Back design has a slightly larger profile and adds confidence and forgiveness. 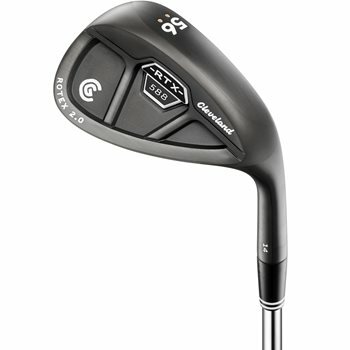 • Rotex 2.0 wedge face technology has the sharpest legal grooves allowed and a new micro-milled Rotex face pattern to give these wedges the most surface roughness the available. • Available in three different grinds with varying bouces. • The Low Bounce Grind has a trailing edge grind and maximum relief from the heel and toe lets the player be creative from even the tightest of lies. • The Standard Bounce Grind has a mid effective bounce, an performs well in most conditions with moderate relief from the heel and toe. • The Full Sole Grind provides a higher bounce. Consistent sole width gives players confidence when striking their ball on full shots.